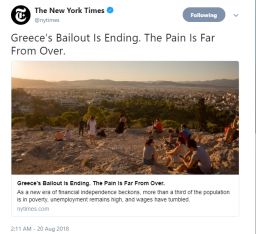 Today, August 20, marks Greece’s exit from a nearly eight-year-long aid program, with the international press casting doubts on the possibility of a viable future for the country and its people. 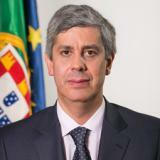 Mário Centeno, Chairperson ESM Board of Governors. “Today we can safely conclude the ESM program with no more follow-up rescue programs, as for the first time since early 2010, Greece can stand on its own feet. This was possible thanks to the extraordinary effort of the Greek people, the good cooperation with the current Greek government and the support of European partners through loans and debt relief”, said Mário Centeno, Chairperson ESM Board of Governors. “The ultimate goal of the financial assistance plan and reforms in Greece, over the past eight years has been to create a new basis for healthy and sustainable growth. It took much longer than expected but I believe we are there: Greece’s economy is growing again, there is a budget and trade surplus, and unemployment is falling steadily,” he added. 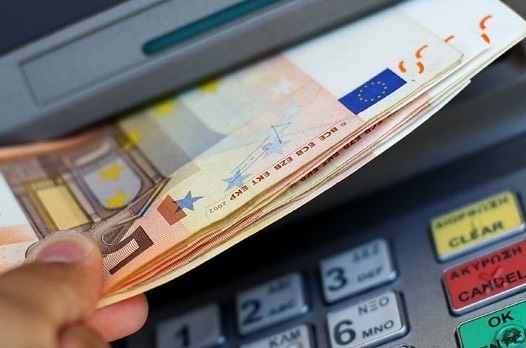 ‘Armed’ with a cash buffer of 24.1 billion euros, set to meet its sovereign financial needs through to 2020, and with the support of the European Commission, all bets are on ensuring Greece completes the reforms necessary so that the country can return to “normalcy”. In this direction, the European Commission announced in July, that Greece would be under an “enhanced surveillance framework” . The international press, meanwhile, is for the most part painting a bleak picture ahead with titles such as: “Greece’s Bailout is Ending. The Pain is Far From Over” (New York Times), “Greece’s Bailouts End, but its Prospects Still Look Grim” (Wall Street Journal), “The End of the Greek Bailout is a Reminder of the Enormous Tests the EU Faces” (The Independent), “Greek Bailout Ends, but Fears Remain for Eurozone Debt” (FRANCE 24), “Greece: Bailout Exit Day Looms for the Eurozone’s Most Heavily Indebted State” (euronews), and “Greece Set to Exit Bailout, Still Faces Daunting Challenges” (Reuters). 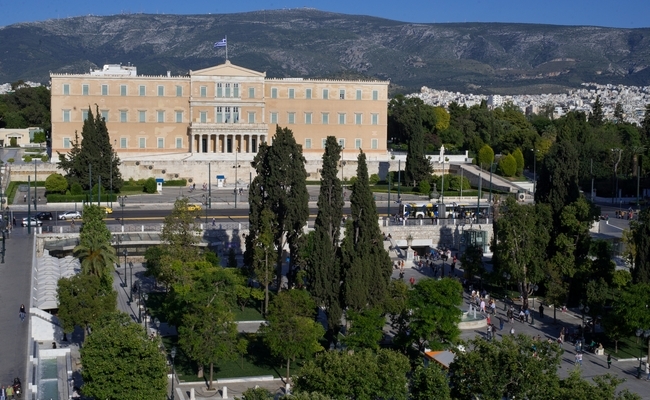 The most heavily indebted Eurozone member, having received over 288 billion euros in financial support, Greece is now faced with the challenge not only to swiftly and consistently move ahead with the demanded reforms as foreseen by the exit agreement but to regain lost trust in the process, rebuilding confidence with markets, investors and companies and moving on to a post-bailout era of stability and predictability. “Without European financial assistance, the Greek economy would have collapsed, perhaps not recovering for decades,” European Economic and Monetary Affairs Commissioner Pierre Moscovici, said last week. “All EU economies would have been dragged, at least partly, into the Greek abyss,” he added. Trade bodies, professionals and academics, agree that stability, completed structural reforms and unchanging taxation policies are key to attracting investment which will pave the way for sustainable growth, create new jobs and ultimately improve the standard of living for the country’s residents. Under the current agreement, Greece has until 2033 to pay back loan or interests on some 100 billion euros lent by the EFSF, with maturity extended by a decade. At the same time, the country will receive every semester through to 2022, profits made by the ECB on its Greek bonds, estimated at around 4 billion euros. Greece, which was forced to enter the biggest bailout in economic history in 2010, is the fifth country after Ireland, Spain, Portugal, and Cyprus to exit EFSF- or ESM-backed aid programs.